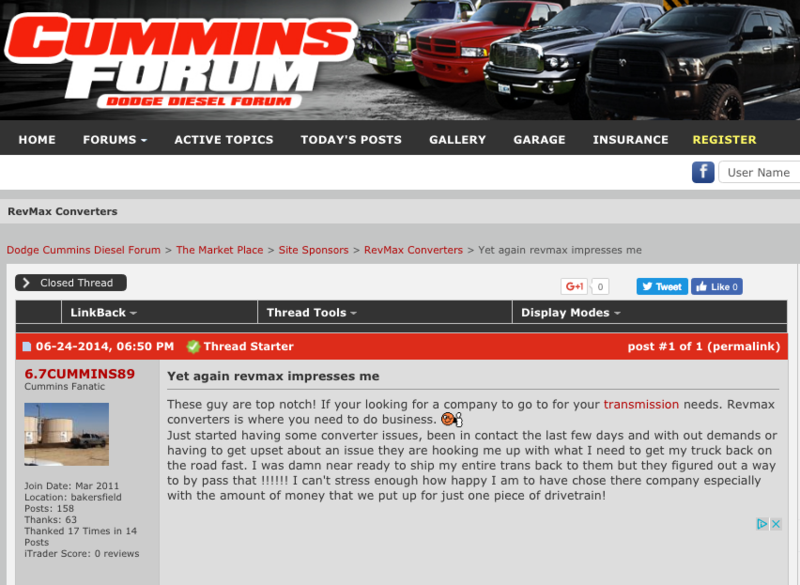 RevMax is the brand chosen by drivers that want the most out of their vehicle. Our patented high performance parts put us in a very unique category. We’re the only company willing to offer a full warranty for all of our transmissions, torque converters and valve bodies. We can do this because our team is going to put your parts together by hand, giving you the assurance that what we build for you is custom built for your truck, making us the most trusted and complete option available. In order to help illustrate the upgrade options available, take a test drive with us and learn what your new experience would be like with RevMax parts under the hood, powering you to where you need to go. STEP 1: SO YOU BOUGHT A VEHICLE FROM A DEALER, WHAT’S NEXT? Is this stock vehicle enough for me? Dictionary.com has the definition of ‘stock’ as a supply (of cars or trucks) kept on hand for sale to customers by a merchant, distributor, manufacturer, etc. Although it’s fun to buy something new and think you’ve got the best option available, knowing that the salesperson that sold you your vehicle had it in inventory means it was more than likely not built for you. You are different, unique and one-of-a-kind, which leaves you wanting more when you leave the dealership. Shouldn’t your vehicle be put together in the same way? 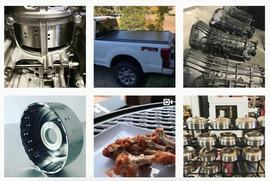 RevMax parts are not only high performance, but they are hand crafted to your specifications. What more could I get out of this vehicle? If you’ve already renovated a car or truck, bought a new one, or are just beginning the process, you know how overwhelming the details can be. The first thing to know when noting differences between stock and custom vehicles is that the terms refer to the type of production methods used to make the parts, and not to the quality of any one of them independently. What's the most important thing when considering high performance auto parts? You gut reaction is to think about the high performance transmission, valve body, torque converter or many of the other parts that ramp things up. However, we urge anyone looking to upgrade their vehicle to think of one thing first, dependability. The more dependable your vehicle’s parts are, the less time you’ll spend under the hood or worrying about safety, and the more time you’ll be out on the open road. 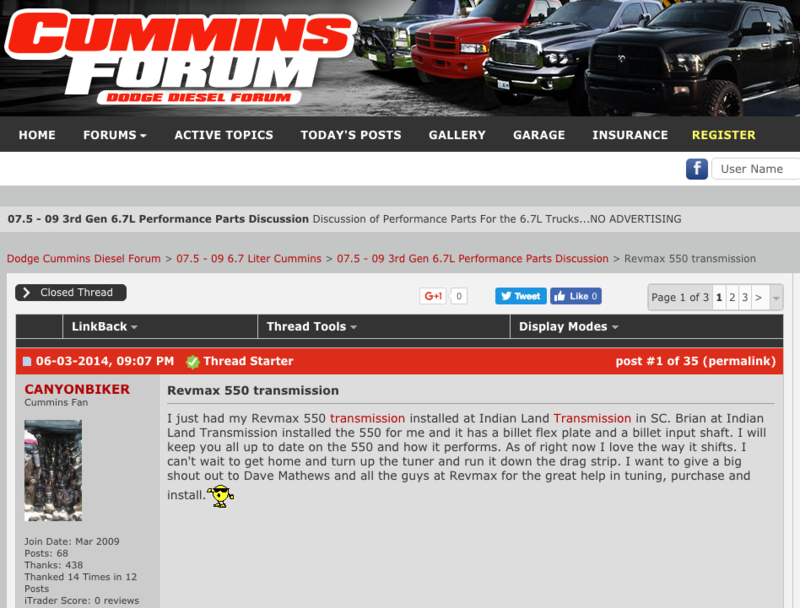 Can RevMax turn my stock vehicle into the powerhouse I need? Click here to learn more about our RevMax all-in-one fully built out transmission, or get your questions answered now by speaking with any one of our shops or call 1-877-780-4334 to speak with one of our team members. STEP 2: CONSIDER UPGRADING YOUR VALVE BODY. Valve Bodies control functions in the same way a brain or control center would for today’s automatic transmission. They usually contain the computer controls for the transmission, and are under a heavier load and strain than ever before. They contain a network of channels and passages that direct hydraulic fluid to the various valves which then activate the proper clutch pack or band servo to smoothly shift to the proper gear for all of the unique driving conditions. How do valve bodies affect shifting? The transmission valve body is in control of how the transmission shifts. 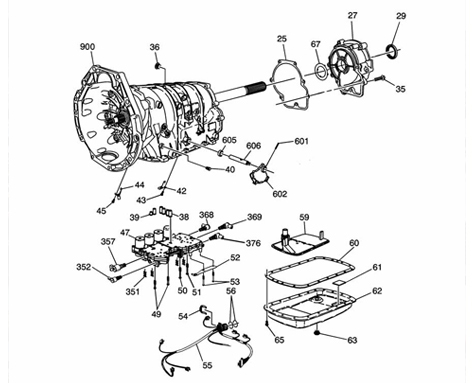 The transmission valve body consists of a network of channels used to direct hydraulic fluid to valves that enable the gears to shift as needed in an automobile. The transmission valve body uses the hydraulic fluid when engaging a band servo or clutch pack to shift to the required gear. Clutch packs consist of discs that are coupled to one side of the engine, and rotate when the engine is turned on. A band servo is a hydraulic device that pushes and tightens the transmission brake bands, or bands that create breaking force when tightened around their shaft. What do valves do on a valve body? Valves controlled by the transmission valve body are prepared to serve several important functions. Shift valves, like the 1-2 shift valve as an example, are responsible for shifting the gear up one level. 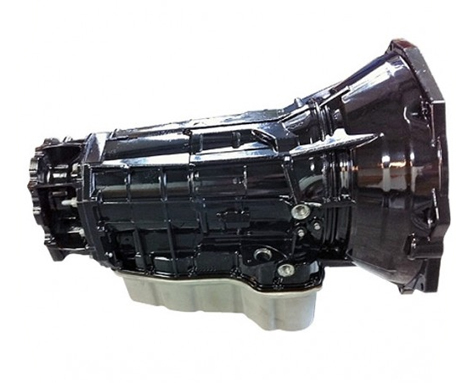 The manual valve is connected to the gear shift handle, and is used to shut off or open transmission valve passageways according to the current position of the gear shift. STEP 3: DETERMINE THE RIGHT TORQUE CONVERTER FOR YOU. If you’ve ever been in a manual car or truck you know that the clutch connects the engine to the transmission. This connection allows for a vehicle to stop (or even slam on the breaks) without destroying the engine. This is especially important when considering that vehicles with an automatic transmission don’t have a clutch that disengages the transmission from the engine. Rather, they rely on the engineering of the torque converter. What are the different parts of the torque converter called? Impellers or impeller pumps are located on the side the transmission is on and rotate at the speed of the engine. When the rpm increases, fluid flow builds inside the converter. That power is transported using vanes and fins that direct the flow towards the turbine, which is connected (bolted) to the flexplate. The stator is in between the impeller and turbine. It acts as a sort of one way clutch that redirects the fluid and multiplies the torque output. Once the power of the fluid flow is strong enough, it will begin to spin the turbine, which is also splined onto the input shaft of the transmission. 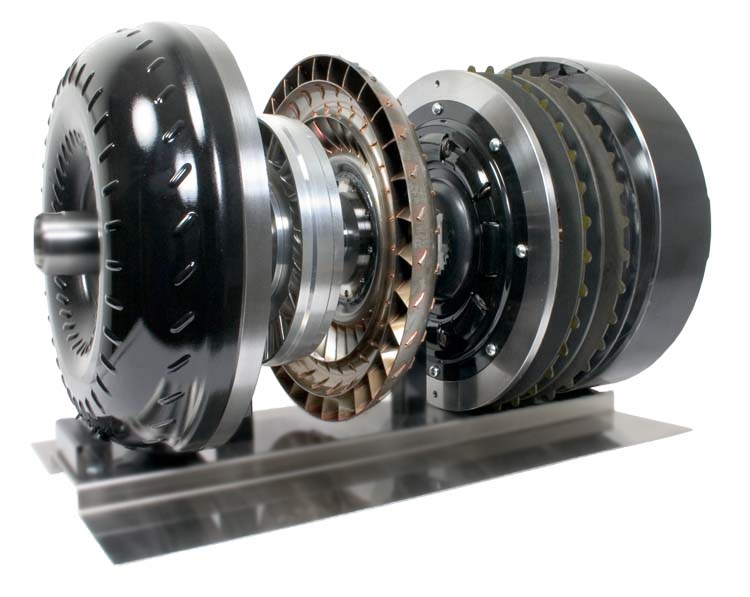 Each converter has it’s own characteristics that are controlled by the diameter, the quantity and shape of the fins, and design of the stator. Stall speed is the engine RPM at which the torque converter transfers the power of the engine to the transmission, or, the amount of rpm the engine can reach with the brakes locked and transmission in gear before the drive wheels turn. The stall speed assigned is simply a way to rate the converter’s performance level. The torque converter will list a range which tells you what to expect and at different levels you should be able to footbrake stall the converter to the level listed depending on the vehicle’s setup. High performance torque converters should provide an obvious improvement in the vehicles’s ability to accelerate from a dead stop. Here’s another way to look at it. The torque converter’s stall speed roughly equates to the clutch engagement point on a manual transmission. Choosing the right torque converter. Does size matter? Size is not necessarily the most important factor when considering a converter, but at the same time, size does play an important role. In a nut shell, your goal when selecting a converter is to make sure that the converter itself has enough volume to handle the requirements of the power level you’re trying to achieve, without being too big. It’s not easy but it is important to consider the proper unit for power transfer. STEP 4: DO YOU HAVE THE BEST INTERNAL COMPONENTS? As engineers get smarter, so do the complicated formulas they use to develop auto parts and the modern automatic transmission is no exception. They contain mechanical systems, electrical systems, computer controls and hydraulic systems, all working together to keep you behind the wheel and out from under the hood. However, when someone puts as much effort into super charging their vehicle as you do, the last thing you want is have one internal component throw everything off. Whether you’re on the open road, towing, or racing on the track, make sure all of your parts come with a RevMax guarantee. What is a rebuild kit? If you are not satisfied with the performance of your engine anymore, an engine rebuild kit is a great way to bring back its peak performance. A rebuild kit is a complete package that includes all the parts you will need like pistons, cams and lifters as well as smaller hardware like pistons, rings and seals. A rebuild kit is also a great idea if your engine just has some parts that aren’t working all that well. 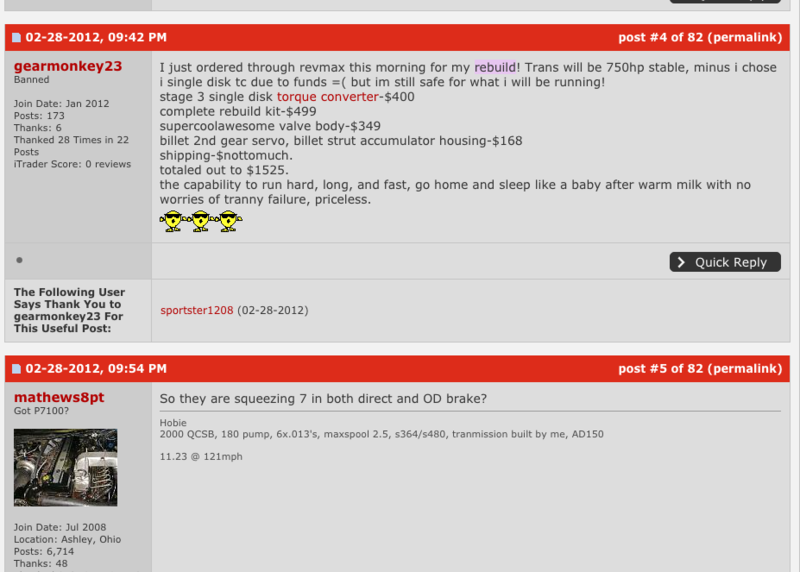 Instead of replacing the entire engine, you can essentially just revive it while saving a lot of money. Why would I upgrade my drive shafts? A drive shaft is a mechanical part used to transfer rotation and torque from the engine/transmission to the wheels. A standard/stock drive shaft may not be enough to withstand the amount of torque and stress coming from your transmission and as your driveshaft continues to wear out, it can not only break completely, but also cause damage to other parts of your vehicle. Once your drive shaft breaks or stop working, your wheels will no longer be able to receive power from your engine/transmission so you cannot drive. Upgrading your drive shaft now will save you also of money down the line. Want all the best parts in one turnkey transmission? STEP 5: READY FOR A COMPLETE REVMAX TRANSMISSION? Now that you have some solid building blocks for your vehicle, it’s time for the main attraction. 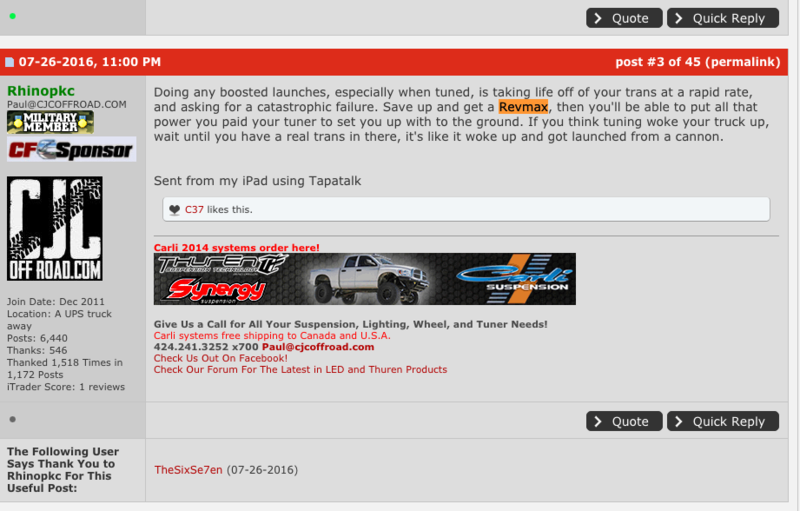 A RevMax transmission is going to turn an everyday ‘off-the-lot’ car into the envy of your neighbors and friends. Our high performance transmissions are built to withstand the test of time and you will be able to rest easy knowing your vehicle has the most top notch system on the market. The transmission the integral part of an automobile that is connected to the back of the engine. The transmission is tasked with sending power from the engine to the drive wheels so the car can move while keeping the engine within the ideal RPM range. This is done through the different gear combinations. What goes into a transmission? How to spot transmission warning signs? How to wake up your vehicle?